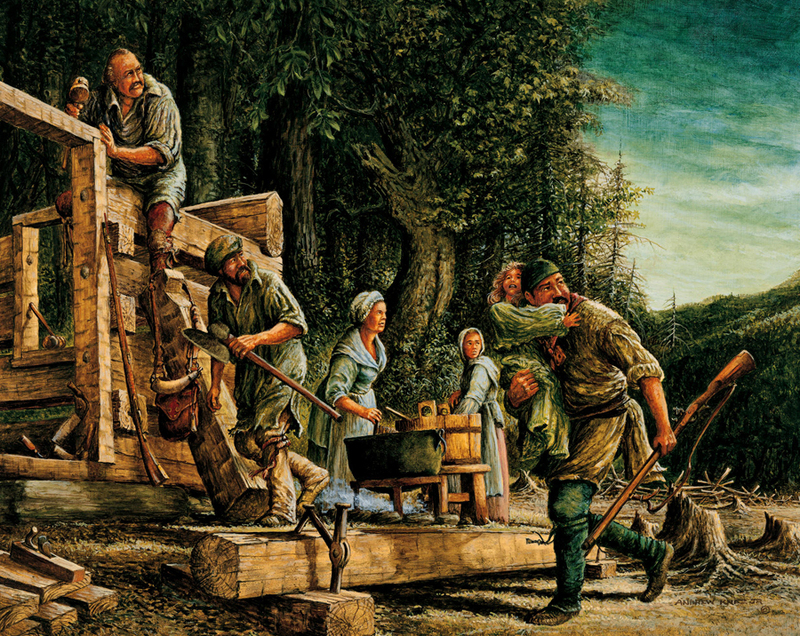 Venturing deep into the wilderness to establish homes for their families, two frontiersmen named Tygart and Files chose to settle in an area along an upper branch of the Monongahela River in 1754. Files chose a spot near the mouth of a creek which still bears his name and Tygart settled a few miles upriver in a valley which has since been known as Tygart's valley. Unfortunately, this area was near the famous Warrior Branch warpath, which ran from Tennessee, through Kentucky and southern Ohio, and on to Dunkards Creek and Redstone Creek in southern Pennsylvania. Soon the settlers realized their mistake, but before they could leave the area, the Files family was attacked and killed, the only survivor was their eldest son who was away from the house. Hearing what was happening and realizing the futility of providing relief on his own, he ran to Tygart's home with the warning which saved that family. They abandoned the homes, which they sacrificed so much for as soon as the danger was past and another eighteen years passed until the valley again attracted the attention of emigrants.